While I was serving at the Metro Merge & X retreat in June as a part of the guest worship team, lots of questions constantly jolted through my head. Why aren’t the kids singing? Why are we on the stage rather than a youth worship team? At that point, what God was calling me to do was clearer than how disengaged everyone seemed from worship. The students needed worship leaders to whom they could relate, not some random people they’ve seen walking around church. For the next few days after the retreat, I spent most of my free time praying and asking God if He was really sure about this. I mean, I’m not a teacher, I’m not a pastor, I’m as introverted as a tree, and I’m not even a professional musician. Furthermore, most of my musical training had been exclusive to a rotting piece of wood in my closet, so why did God plant this vision in me? It took me a while, but I realized that was precisely why God called me for this – because I was in no way suited for this other than my love for worship. The beginning of the youth worship team was just me trying to scavenge some students to join, but once it got rolling, more and more started to come to practice and eventually, I somehow ended up with seven teenage girls. By the grace of God, I have been able to keep up with them and they are very well-behaved (please send help). All jokes aside, it was the first time that some of them even touched a microphone or their instrument, but within a month, they all improved so much to the point where they can determine the good from the bad among themselves. Most importantly, they are having fun just being able to worship God and communicating through music with their friends. After countless hours of practice on weekends, the time had come. The first worship set on Friday, September 23rd, was nothing short of amazing. 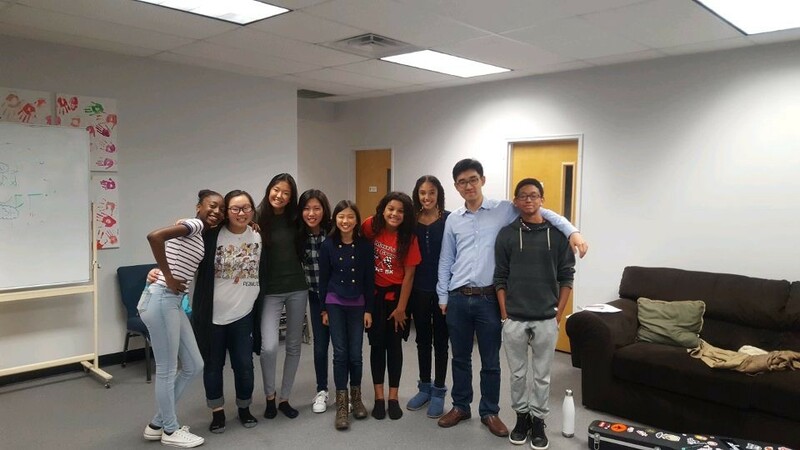 To get to that point, they sacrificed their Saturdays during summer vacation, and through all their diligence and preparations, they were able to come together and serve God in front of their peers and some ministry staff members. Not only that, they really went all out with their worship, disregarding musical mistakes as if they had nothing else in their sights other than God Himself. Being the introverted tree that I am, it takes a lot to get me to tear up in public, but honestly, it was so beautiful that a few drops reluctantly rolled out of my personal dams. Our immediate goal for the youth worship team is to improve to the point of serving weekly on Fridays and to lead other students in worship. I’m hoping that in addition to the amazing work that Clay, Doug, and the teachers already do for X and Merge, the students themselves will be able to help each other get closer to God. Past that, the end goal that God presented to me is to make the ministry self-sustaining, so that even when the current members graduate or leave unexpectedly, the students themselves will be able to keep the worship team going and teach those who have the heart for worship. In the past few weeks, I have personally received an overwhelming amount of support from parents and staff members, but my hope for the future is that all the support will be directed to the students. No one else but our young worshippers themselves worked harder to get to this point and it’s truly a blessing for me to get to know them and be a part of the team. Anything to get them to work even harder is less work for me (haha). You can check the Youth Worship Team out here.